I made this card using quite a few of the techniques used on the tutorials on this website. 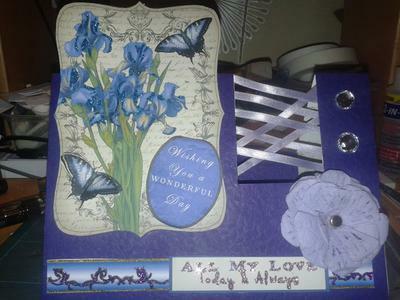 I have been making cards for about ten years, sometimes I would have a years break then I'd start again. I can honestly say that since I discovered Debbi Moore CDs and this website I have really got back into the full swing of things and discovered some amazing ideas. 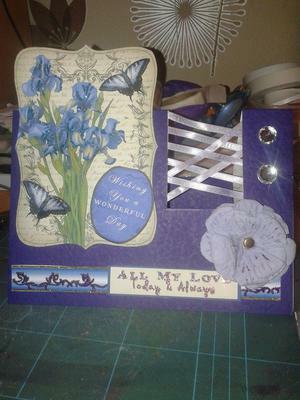 The card I have uploaded used about for 4 tutorials I have learnt in the past few weeks and I'm amazed at the outcome of each thing I did. 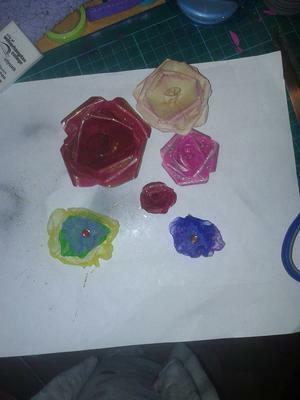 First of all I created my own flower templates that I learnt. 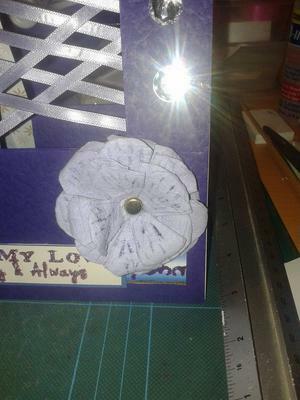 I created my first purple flower, used the trellis idea but used ribbon instead of paper, and used the stepper idea. These are totally new to me. Thanks for creating this brill website, keep up the good work! The website is there for you all to enjoy and it makes me so happy when people take the time to write and tell me that they enjoy the tutorials and projects that I have added. How clever you are. I particularly like the colour scheme you have chosen and I think the ribbon is a super idea. I'm sure your friend was delighted with this lovely creation. I love the colour and such detail, I too like Christina's tutorials but I've yet to get round to doing roses, good for you . Your card is lovely. Isn't it a lovely feeling when you have created something that others can enjoy and you can show it off. What a pretty card. I agree with you that Christina has taught us all some amazing techniques and what would we do without her. Well done.